Montreal, July 19, 2016 – The African Union passport was officially launched on July 17, 2016 and the first two copies were issued. African passport owners are now the presidents of Chad and Rwanda. Although the initial reports indicated that the new passport is intended for heads of state, ministers of foreign affairs and high office diplomats only, the expressed interest is apparently so overwhelming that the African Union Commission is now talking about issuance of African passports to all respective nationals. 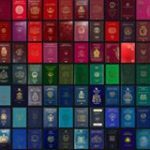 Given the interest that the news spiked, Passport Index analyzed the potential effect that the passport will have on the current 54 AU member states. In times when Europe is eroding, Africa is uniting. For more information, please visit the website of the African Union.